Our facility is capable of stabilizing and treating a high majority of the cases seen daily in the local ER, with little-to-no wait time and for a fraction of the cost. We are open throughout the week and on weekends with extended hours to provide you same-day treatment for care of general and non-threatening injuries and illnesses. Plus, unlike small medical clinics with considerably less space or staff, we have digital X-rays and lab testing in-house. As the top urgent care Tarzana facility, our center is your one-stop solution for healthcare for all patients from infants to seniors. American Urgent Care Center is excited to bring our care to your home, hotel or work seven days a week. The visit includes the necessary Labs and X-rays, if needed, at American Urgent Care Center. Please call our office for details and pricing. Dr. Newman will be available Mon-Fri, 6pm-10pm and Sat-Sun, 3pm-7pm. You may call our office at 818-600-8343 for an appointment or any additional information during business hours. Mon-Fri, 10am-5pm, Sat-Sun, 10am-2pm. "Amazing URGENT CARE FACILITY! I was really surprised with this experience: A clean modern facility with great service! The staff was welcoming, attentive and thorough! The rooms were clean, bright and very soothing... Everything from the x-rays, labs, examination and paperwork was quick and efficient...if you have to be sick- this is the place to go!" "DR. Newman was awesome. The minute he walked in he made me and my mother super comfortable. He explained clearly what he needed to do and performed a very nice cleaning and suturing of my mom's wrist which was deeply cut and needed to be stitched. He did the job in less than a half an hour. The place is immaculately clean and beautiful. I would recommend to anyone living in the area to check it out! Thank you"
"Dr. Newman is the most smart, compassionate and wise doctor there is. His urgent care is so clean and beautiful and his entire staff treated me with utmost care and love. 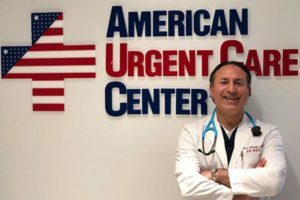 It is rare to feel so much love from a medical/hospital facility yet that is exactly what you get when you step into American Urgent Care Center. Everything was streamlined and easy which allowed me to get the care I needed. I highly recommend Dr. Newman and his center." "The environment here was so warm and friendly. I came to Dr. Newman with some serious concerns and he was right there with me. His calmness and caring words made me feel at ease. He was very thorough. He answered all of my questions so it made me feel very well taken care of. So rare to find such a personable doctor!" "By far the best Urgent Care you can go to. Very clean facility. Very friendly staff and most importantly, Dr. Newman treats you as an individual and takes time to answer any and all questions. Pricing is very friendly as well. I am thankful I found this place." "This is the best urgent care facility I have been to, by far. Dr. Newman and Harold are both extremely knowledgeable and caring. I came in with a cut on my foot right around closing time, and both of them had no problem staying past closing to make sure my stitches were good and that I was feeling A-okay. It is hard to find such nice people in the urgent care business. Would highly recommend!" "I am thrilled to have found this place. The place is very professional looking and extremely clean. The whole process to see the doctor was easy and I felt very welcome which I can't say about other urgent cares I've been to around Encino and Tarzana. Dr Newman was without a doubt the best urgent care doctor I've been to. He was very patient with me and thorough with his analysis of my condition. I appreciated his attention to detail and as others have mentioned you can tell he truly cares. If you are need of an urgent care this is the place to go." "This is THE BEST urgent care facility I have ever seen! And by far the cleanest! Dr. Newman is such a wonderful doctor who answers all of your questions and doesn't try to rush you out of there. He is a very compassionate doctor (with a wonderful bedside manner) who really cares about his patients." "I just love Dr. Newman! I have not met a more compassionate doctor who actually cares about his patients and wants to see them heal and get well. It's especially rare to find this kind of quality care in an urgent care. It's always been an easy experience with insurance and the office is run by his lovely wife who is so warm and friendly and welcoming." When it comes to urgent medical care, the team at the American Urgent Care Clinic is the one to trust. From X-rays to immunizations, we can help you with anything you need. Our extensive experience in urgent care enables us to offer you efficient and timely treatment on a walk-in basis, and our compassionate, experienced doctors are friendly and approachable. You can reach us for anything you need. Canoga Park, Northridge, Sherman Oaks, Studio City, Woodland Hills, Lake Balboa, Encino, Westlake Village, Thousand Oaks, Valencia, Winnetka, Reseda, South Park, West Hills, Van Nuys, Valley Village, Panorama City, Oak Park, Simi Valley, Moorpark, Newbury Park, Chatsworth, North Hollywood, Sylmar, Porter Ranch, Granada Hills, Hidden Hills, Agoura Hills, Bel Air, Sun Valley, and Calabasas. Choosing experienced doctors who are trained in urgent care is imperative to ensure that quality medical care is provided at the right time. At the American Urgent Care Clinic, the health and safety of your loved ones are our number one priority. Our Medical Director and urgent care clinic owner, Dr. Robert Newman has extensive experience in the field of general medicine. We have multiple patient care rooms, fully-equipped with the latest in medical technology. We have high-quality medical and resuscitation equipment, for emergent cases. Feel free to reach out to us for help and support. You can trust us with anything you need. Dr. Robert Newman has specialized in family medicine from the University of Nevada, Reno School of Medicine. His decade-long experience in providing immediate and urgent medical aid has equipped him with the knowledge, skill, and expertise needed to handle cases of varying levels of complexity. Dr. Newman is an urgent care specialist with extensive knowledge of urgent medical procedures. At the American Urgent Care Center we treat all types of emergent cases from body and face lacerations, foreign body and soft tissue removal, and we do nebulizer treatments. No appointment is required, and we have extended hours on nights and weekends to service your needs. If you require an X-ray or an EKG, visit our urgent care center. We are equipped to provide you with any urgent care treatment you require with our state of the art technology. Our urgent medicine doctors have extensive experience treating patients of all ages, including working with children. 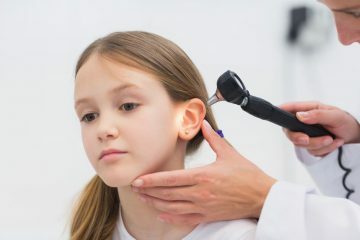 From splinting to ear lavage, our expert medical team is staffed with board certified family medicine physicians ready to treat you. Walk in to our urgent care clinic in Tarzana anytime, and you will not only wait less, but you'll save more compared to a regular emergency room. You will get seen more quickly and at a much lower cost. No matter whether your condition was caused by a sports injury,work-related accident, or otherwise, we welcome the chance to serve you. Do you need immediate medical assistance? Visit us at what can be called the top urgent care Tarzana has to offer, where we have a staff of highly qualified medical professionals with extensive experience in providing urgent medical care. Our Medical Director, Dr. Robert Newman, has over 10 years experience in various medical facilities including UCLA Urgent Care. 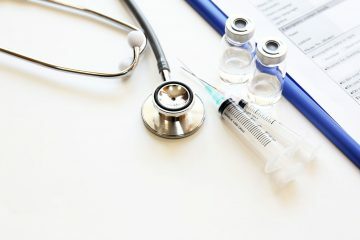 He has also worked at multiple hospitals, clinics, and medical centers including UCLA Urgent Care, Valley Presbyterian Hospital Emergency Department, West Hills Hospital, Santa Monica Bay Physicians Urgent Care, Malibu Urgent Care, West Oaks Urgent Care, US Healthworks, and HealthCare Partners. Dr. Newman is board-certified in family medicine. 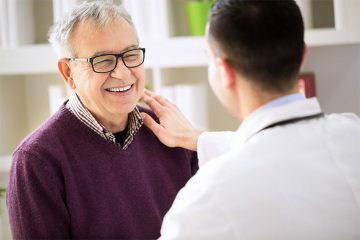 From flu shots for your infant to diabetes testing for the elderly, you can rely on him to provide personalized medical care and attention to every member of your family. The doctor is renowned for his sense of humor and his warmth, and his sunny disposition and approachability make him a favorite with all patients. Dr. Newman’s number one priority is the physical and mental well-being of his patients. 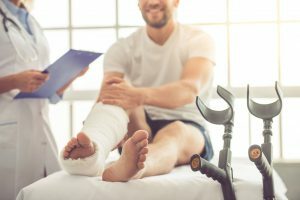 Whether you have a question about the injury or a query about post-treatment care, you can feel free to reach out to him anytime. He is more than happy to be of assistance. His service mindedness and laser-beam focus make him the perfect choice for medical care. Choosing professionals for urgent medical care can be challenging. It is imperative that you select a medical professional who has the knowledge and expertise to provide timely and effective treatment. What is done in the first few hours post-injury will determine the rate of success of further treatments. At the American Urgent Care Clinic, our team of qualified doctors will ensure that you are provided the focused care and immediate assistance you require on a walk-in basis.